Summer has every right to invite kids to water sprinkler fun, theme park outings, extended curfews, and an abundance of good ‘ole fashioned, uninhibited fun, but In the midst of the giggles and screams, please don’t forget to encourage your child to be bookish! Once upon a lifetime, reading books, swatting mosquitoes, and a neighborhood game of “Red Light, Green Light” was the pinnacle of summer fun. Growing up has changed and so has the many ways that literacy can be enhanced. Books are on Nooks, on tape, online, but most important, books are still on shelves. Nothing can replace the intimacy of holding a good book and personalizing the journey with doggie flaps and food stains. A blemish on a book is the mark of a good relationship between readers and authors, and this writer defines it as a solid manifestation that a connection has been made! In my youth, military base libraries served as one of my favorite entertainment hubs, and it paid off (in the long run). 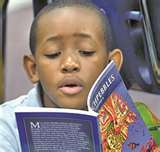 Children who embrace reading grow into adulthood to be better communicators (both verbally and in writing), AND they perform better on standardized tests. While I had no idea Beverly Clearly, Louisa May Alcott, and Mrs. Piggle Wiggle would lead me to literary destiny, I am pleased with my summer indulgence outcome, and want to witness the Millennium generation experience the same literacy success. Don’t summer “Bah Humbug” me all at once. It is not my intent to put Disney World and Wild Adventures out of tourism business, I am simply advocating that we give our children “bookish-balance” so when school starts in August, they return with alert brain cells and are eager to write those expected essays titled, “How I spent my summer.” I have three fingers crossed and an eye winked for teachers across America to marvel over how may children boast new literary insights when writing their three paragraph essays. 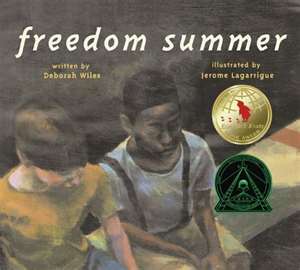 Penny prophecy predicts the Caldecott, Newberry, and Coretta Scott King medal winning books will be featured in everyone’s introduction, body, and conclusion. Books are not meant to just provide great reading; they are also worthy subjects for writing! 1) Make summer reading goals as a family. Mom and Dad are not off the hook! Parents are the best reading role models a kid has, so making goals for every family member makes it more likely your child will achieve her goals. When working together to make your child’s goals, keep in mind that a study done by Jimmy S. Kim found that students who read four to five books over the summer scored significantly better than their peers. 2) Give your child literary free will. In her book The Book Whisperer: Awakening the Inner Reader in Every Child, Donalyn Miller talks a lot about the importance of letting children pick the books that call to them and not being critical of their choices. Never criticize your child’s choice of reading materials. It is okay to read a book multiple times, to choose comic books or magazines, or to read a less traditional book. What matters is that the child has the experience of connecting with the literature. 3) Have book baskets throughout your home. If you don’t already have book baskets in your home, start this summer. Always keep book baskets accessible. We keep ours in my kids’ rooms, our bedroom (we have a “Mom book box” and a “Dad book box”), the kitchen, bathrooms, and even the cars. We rotate the books regularly but if one of my kids is particularly attached to a specific title, that book can stick around longer. Having lots of books available makes it more likely that your child will find a book he connects with and will keep reading all summer long. 4) Encourage your child to carry reading material and do the same yourself. This makes reaching those summer reading goals more achievable. Next time you are standing together in a long line at the bank, let your child see you pulling out a book. Instead of buying your child a Game Boy or cell phone for his birthday, get him a Nook which allows him to carry a world of books and weighs less than a magazine. 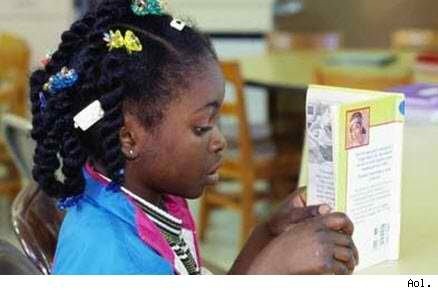 5) Continue reading to your child, even after she has learned to read for herself. I encourage you to continue to read aloud as long as possible to your child. One of my happiest childhood memories is my mother reading The Secret Garden by Frances Hodgson Burnett. She read the same copy of the book to me that her own mother had read to her, the same one that I will one day read to my daughters. I was about seven years old at the time; and even though the book is recommended for nine to twelve-year-olds, I loved it. Children are able to listen on a different and more advanced reading level than they are able to read. It isn’t until about the eighth grade that they are able to listen and read on the same level. Make read-aloud books part of your summer experience with your child. 6) Create family reading rituals. Have a regular family reading ritual, a time when the television and the computers are off and you all hang out in a room reading. Seeing parents reading, especially dads, sets a great example for children. It can help everyone achieve their summer reading goals and it shows that literacy is a family priority, not to mention that having quiet time together also creates a wonderful connection.